Your brows can be a distraction or your best face accessory. They help frame your face and draw your audience in. Some women never fill in their brows and some will create a mockery of sorts! However, there are many factors that contribute to great brows like color, size, shape and fullness. Today we will focus on color. If you have the wrong color, it can take attention away from your face and up into your brows and hair. The most common ways to find your best brow color is using your skin undertone and hair color. Skin undertone is the underlying tint to a person’s skin. For the sake of time let’s just say, if your skin is more vibrant wearing gold jewelry, you are a warm undertone. If your skin is more vibrant wearing silver jewelry, you are a cool undertone and if you really look good in both, you may be a neutral/olive undertone. When it comes to shopping for color, keep in mind that it’s a process. There’s trial and error but the more you get information to narrow down your choices the closer you get to your color. So, don’t fear there is a color for you! One last thing! If you try a color and just are not sure if its right, go to the "selfie test"! My good friend, Reese Williams, of Eye Make It Happen Image Concierge suggest checking the camera when all else fails. Take a picture of yourself and if your brows are the first thing your eye is drawn to maybe it's time for a new color. For more help with brow color or brow techniques, contact me for a FREE Brow Assessment at mimi@mimifoxx.com. Until then, let your brows lead the way!! Today I want to discuss how to Love Your Eyes! It is my mission to teach everyday women the fundamentals of makeup and create the confidence they need to paint like a pro. If you've ever put on eyeyeshadow and scared yourself, then stay tuned. What I'm about to share with you will bring clarity to the process of applying eyeshadow and teach you techniques to get that smooth finished look that last all-day. First up is Eyeshape! The eyeshape determines how you look at your crease, lid and browbone. If you don't know your eyeshape then you're bound to make placement mistakes that will sabotage your look. In my new ebook, "(4) Tips for Perfect Eyeshadow" you'll learn six eyeshapes to consider before starting your eyeshadow journey. The next thing to consider is what brushes to use. Think of makeup brushes like a hammer to a carpenter, if you don't have the right tools then it's tough to do a great job. You've got crease brushes, blending and flat eyeshadow brushes to choose from. Each brush is designed for a specific area of your eye and has a certain finish it will create. You can start off small when purchasing brushes but making sure you have the essentials will save you time and headache. One of the ways to create a great eyeshadow look that last is to use primer. Eyeshadow primer helps give eyeshadow longevity and gives color a more vibrant look. There are a number of brands to choose from, so making sure you identify your needs is top priority. If you have oily lids you make look for a primer that is longlasting and water resistant. If you're looking for vibrancy you may choose a primer that is creamy and has a white base. Lastly, choosing colors may be a major fear for some beauties because using colors that don't harmonize with your eyecolor or skin undertone can make the look awkward and painfully obvious. One way to choose color is to consider a monochromatic color scheme. A monocramtic color scheme is a color combination that uses just a light, medium and dark version of one color. So, if you have brown eyes, try using a light, medium and dark purple to bring out your eyes. 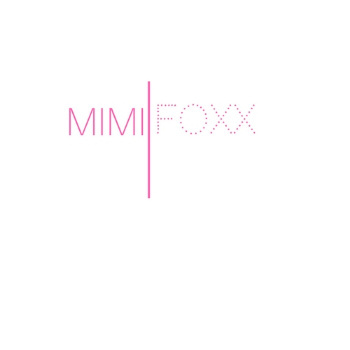 To learn more about your beauty register for a FREE Eyeshadow Consultation with me at mimi@mimifoxx.com. Why use blush? Blush isn’t just about rosy cheeks and clownish frills. It’s about enhancing your beauty with color. Blush can be a multi-dimensional product or a way to give your skin a healthy glow. And far as those makeup myths floating out there go, don’t be fooled. Blush is still en vogue and is for every woman who wants to wear makeup! The first thing you need to know about blushes are the most common types which are powders and creams. To determine which is best for you consider your skin type and desired finish. If your skin is dry, try a cream blush to give your skin a healthy glow, natural flush and keep your cheeks from being dried out by powder. Also, you can apply cream blushes with a wet sponge for a dewy finish. On the other hand, if you have oily skin, try a powder blush as an added protection against oils. Make sure you have the right tools when applying these strokes. Your fingers are always an option but not always the best option when it comes to blending. Using the tools of the trade make it easier to blend and establish proper placement. The standard tools are a small to medium blush/powder brush, beauty or wedge sponge. Usually, you can find these tools at your local drug store for under $5. So make your job easier and use tools that are created for your blush. Also, if you looking to step outside the box with makeup but don’t want to buy a lot of products use one color blush to make a monochromatic look, blush, eye shadow and lipstick. Blush comes in all types of cool colors that make it compatible with all skin tones. So don’t be shy, there is one for you. Stay tuned next week as I discuss how to find the right color makeup for you!